It was a wet Sunday eve as I headed to town to bear witness to The Wizard as he shared testimony through song and spoken word. 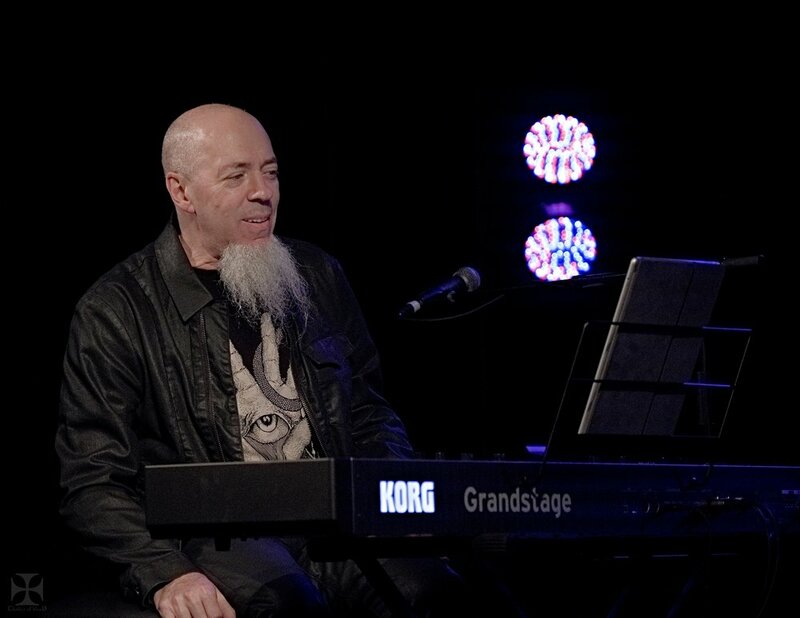 I was not alone as a small but dedicated few gathered at Auckland's Tuning Fork for Dream Theater keyboardist Jordan Rudess to take us on a journey - his journey, through music; from attending the prestigious Juilliard school, to discovering The Moog, Genesis, Yes, ELP and their life changing album Tarkus; and onward to joining Dream Theater. Armed with only a Korg Grandstage performance keyboard and iPad - the night was comprised of humorous anecdotes which tied together improvised tunes, classical pieces, Dream Theater arrangements, a moving rendition of David Bowie's Space Oddity (complete with Jordan singing), and an iPad shred piece using the recently released GeoShred application, culminating with an exceptional encore performance of the beginners classic Chopsticks. With the exception of a few people annoyingly talking during the performance, the whole room was enthralled; and even now - several hours later I'm still without adequate words to describe the event, other than to say that Jordan is a humble, down to earth entertainer whose command of the keyboard leaves me nothing more than my own version of Images and Words with a selection of photos from tonight's performance. 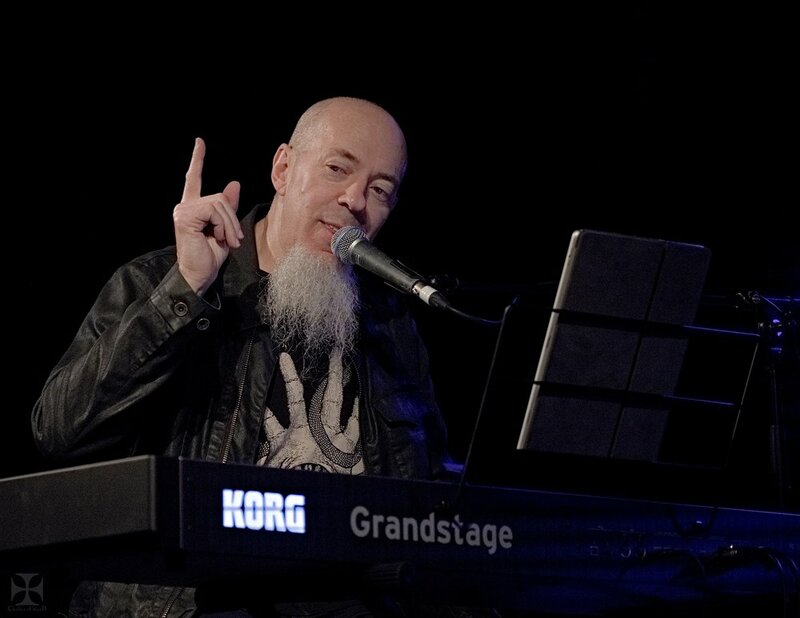 Breakups are never easy - whether it's a romantic tryst, a teenage crush, or with a young Mark and his favourite band Dream Theater, that dark moment when founding keyboardist Kevin Moore left the group in 1994. 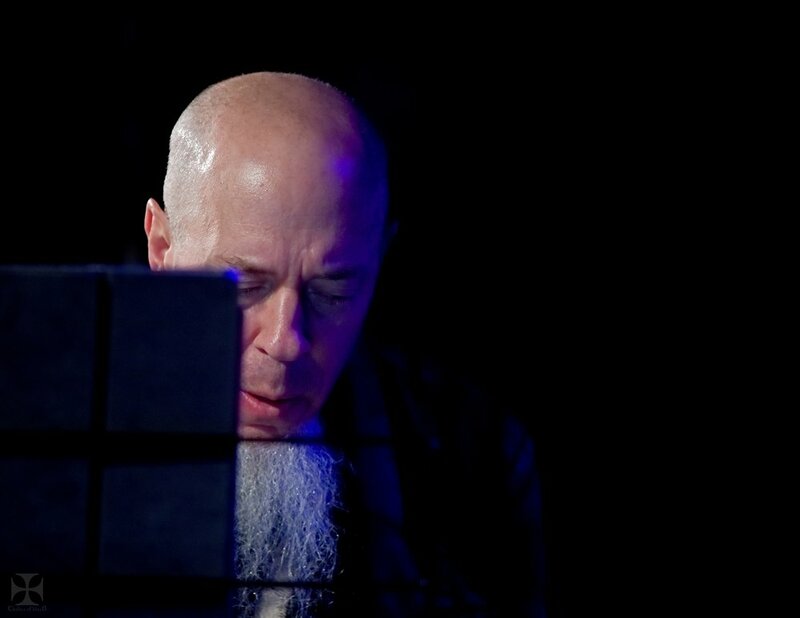 It happened again in 1999 when Derek Sherinian left to make room for ex Dixie Dregs/Liquid Tension Experiment keyboardist Jordan Rudess, and like a break up, sometimes moving on opens you up to new opportunities. This last shift was to the betterment of the band, breathing dramatic new life and energy into the group, for what is one of their best albums, Metropolis Pt. 2: Scenes from a Memory. So it's with a reserved sense of awe I had a short chat with Jordan regarding the upcoming Australia and New Zealand leg of the Bach to Rock: A Musician's Journey solo performances. Jordan is the first to introduce himself. Looks very sunny, I’m doing well - just busy doing all kinds of stuff. So I caught your live stream yesterday, you always seem to record whilst I’m having breakfast or driving to work, so it’s like a nice live concert to drive to work with. That’s cool, I was up at a spa facility and they have a piano up there so I sat down and played and turned on the camera. I’ve been watching you do that quite often over the last few months/years that you’ve been doing the live streams. 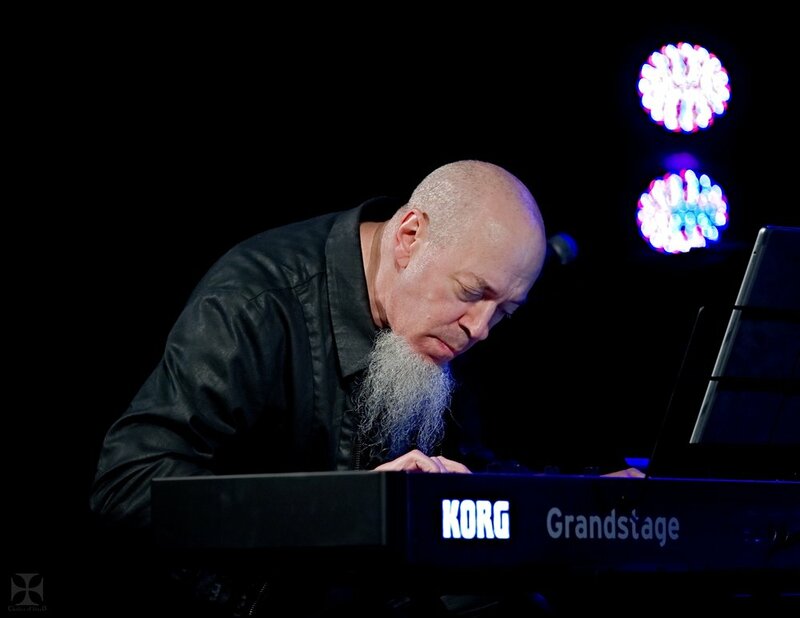 We’re talking about the “Bach to Rock” a Musicians journey concert/tour and those pieces are all kinda classical, sitting at a real piano and not a synth with technical stuff, what’s the basics of the tour that you’re doing, are you starting purely piano or is it a mixture of synths and everything? No. 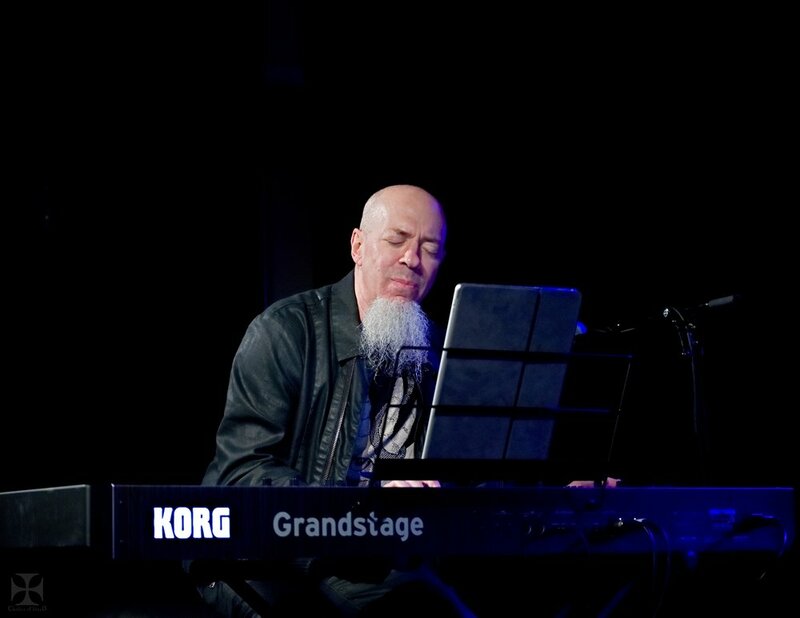 it’s called “Bach To Rock: A Musician's Journey” and what it involves is me telling the story of my musical life journey, and sitting at the piano is the mechanism to tell the story. 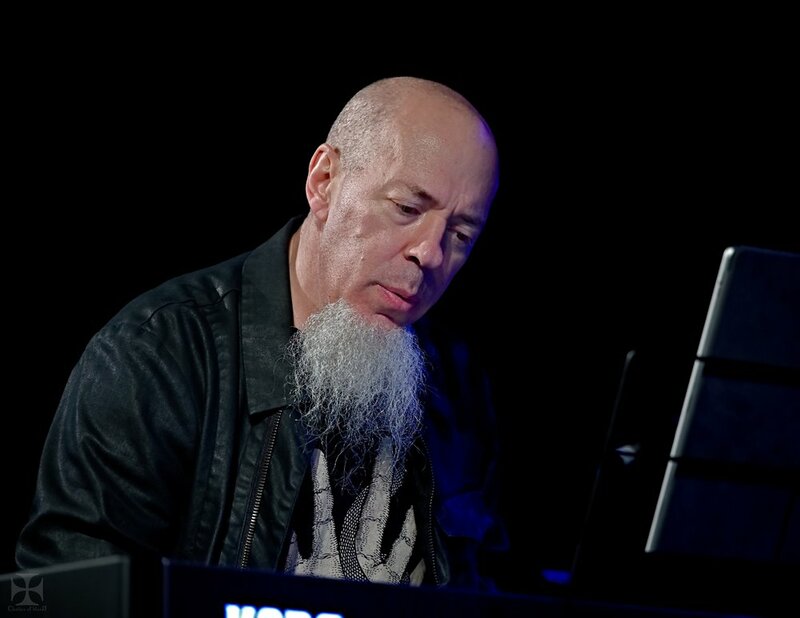 You know, the basics are that I started as a young person, I went to Juliard and was playing classical music, and had different experiences along the way which led me into rock music like Liquid Tension, Dream Theater, my own solo work, and the piano kind of as a musical home base for me, is a very comfortable way to take everyone through that entire cycle of life - it starts with Bach, goes into various other elements in which I play some of my solo stuff, but I also play a handful of Dream Theater songs on the piano including a rocking wild version of Dance of Eternity which is one of the more progressive things, and actually it’s not all piano - in the middle of the journey I also talk about my company called Wizdom Music (with a Z) that makes cutting edge music apps and I do some shred on my iPad instrument. That’s the new GeoShred application? GeoShred. Yeah that’s the instrument, so yes - all piano except for one break in the middle which is more of a shred fest for me, and something a little different, but yeah I haven’t been to Australia yet, I’m really looking forward to coming there for many reasons, but it’s been really fun taking this show to various parts of the world. I did in it Europe, I did it in parts of the US, and it’s really a chance for people to see a different side of me, that might not understand the big picture of who I am musically, perhaps they only follow Dream Theater and know me as the keyboardist in a prog metal band, and so yes I do offer some Dream Theater in the night but I also offer a really rounded fun journey through how I became who I am today. I think I first heard you through The Dixie Dregs, and then Liquid Tension, and I was already a Dream Theater fan and that combined together and it was a good fit. Ahh so you’ve had some perspective of the bigger picture, and even then - you might find out some things if you come to the show and be “whoah I didn’t know he did that”. I’ve heard some of the solo albums but not a lot, so that’s something I’m interested to checkout and hear - and see how the progressive through classical and everything inspires you. Absolutely, and that’s what it’s all about, I talk about when I first discovered any kind of prog music and the influence it had, when Emerson, Lake & Palmer’s Tarkus crossed my ears and brain, and how that affected me and I play some of the progressive rock things that are really super meaningful to me as I cycle through the chronological timeline. I’m not a musician but just a lover of music, and came to the heavier stuff through the Salvation Army brass band and mixing that up with discovering jazz, so I always find it interesting where people get their influences from. So you’re doing 6 dates across Australia and one here in New Zealand in the middle, what's your touring schedule like normally? That’s back to back with one day off. Yeah, I’m in Auckland and was lucky to see you guys with Dream Theater back in 2009 for the “Black Clouds and Silver Linings” and I’m still hoping you’ll come back as a band. Sure, well for now I’ll be back as myself, so you’ll help me spread the word - playing some Dream Theater, telling some stories, and having a good evening of music. There’s definitely spoken word, ‘cause I take people through it, I’ll play something and tell a story, maybe something with a bit of humour thrown in and play the next thing, describe where I am within the path, and keep it going like that, and what’s beautiful - some of these countries English is not their first language so it’s a little hard, but in Australia I assume everyone will understand my English so that’ll be good. Well I’ve always been, since I got into synthesisers I’ve been fascinated with them, naturally kind of involved in the way that they respond, how they work, and I love - even in the old days when I started playing Korg and Kurzweil - talking with the engineers and giving suggestions, and years back I used to be what’s called a ‘product specialist’ first for Korg, then Kurzweil and part of my job was to not only show these instruments and make demo sequences, but to be involved with the operation of them and giving feedback. So along the way, I discovered the first iPhone, which is the first time I put my hands on what we could call a multi-touch playing surface, and I had some ideas right away, even though it sounded like crap and didn’t look good at the beginning. There was nothing much to it - but still my imagination was leading me down a whole path and it ended up that year was the year that I worked with a coding partner and we created an app called Morphwizz which turned out to the Billboard #1 music app that year. It was a good start - allowing me to dream like that, and since then I’ve worked with a number of people all over the world, in fact I’m working with someone on a really interesting concept right now, kind of an audio morphing that’s from Melbourne - a programmer friend of mine - it’s funny how many contacts/technology people there are in Melbourne. That’s always one of my lasting memories of that Dream Theater show, in the middle of big synth solos you step away from the keyboards and walk out to the stage, and out comes a phone and it’s an iPhone solo in the middle of the Town Hall - it was like “Whoah”. So what’s happening in the Dream Theater camp? I believe work on a new album has started. Yeah, there’s a lot of energy and excitement in the Dream Theater camp cause we’re finishing up work on a new album, it’s all recorded it’s just a question of being mixed and mastered, and going through that whole process now and people will now, at some point in the pretty near future be finding out - there’ll be a press release to go out and tell everybody about what’s been going on. But I can say that we’re very energised and we think that we created something really really cool, that’s gonna kinda like bring a lot of energy into the band. The new record label (Inside Out / Sony) has been amazing, I dare to predict it’s going to be a really great coming year for Dream Theater - a lot of touring and excitement around what we’re doing and I’m really looking forward to it. Is there anything you can tell us about the album in its direction/shape? Is it harkening back to earlier sounds or progressing further into rock opera styles? No, it’s not a concept thing. I can tell you what I told some other people, although there’s not a whole lot of information that’s available to the outside world at the moment, but it’s kinda like - we got everybody all together just to be involved and just revisiting the core of who we are, from the sound and getting all horses in there to create the power that we wanna put out there. That’s where this album is coming from. With the last one I’m extremely proud of - The Astonishing was a wonderful compositional creative project for John Petrucci and I and of course for the band, but John and I wrote it - so we wrote all the music and everything and he wrote the words and story, so that was great to get that out there and I’m very proud of the music but now we’re coming back more towards a band energy and it’s really fun and exciting. Is it a double album, or single? One song, 3 CDs. Cool. Well I definitely look forward to seeing you at the Tuning Fork in Auckland on the 25th (which is a Sunday). Is it a nice venue? It’s a nice small venue; I’d say it’s an intimate style club, not too big, not too small. Well thanks so much for helping to get the word out around there, it’ll be very helpful I’m sure. Thanks for talking, and I’ll see you in November. That sounds like a really good plan to me. Since recording - it has been announced that Dream Theater's 14th studio album - Distance Over Time will receive a world wide release on February 22, 2019. Interview and Photos/Review originally published via Libel Music.